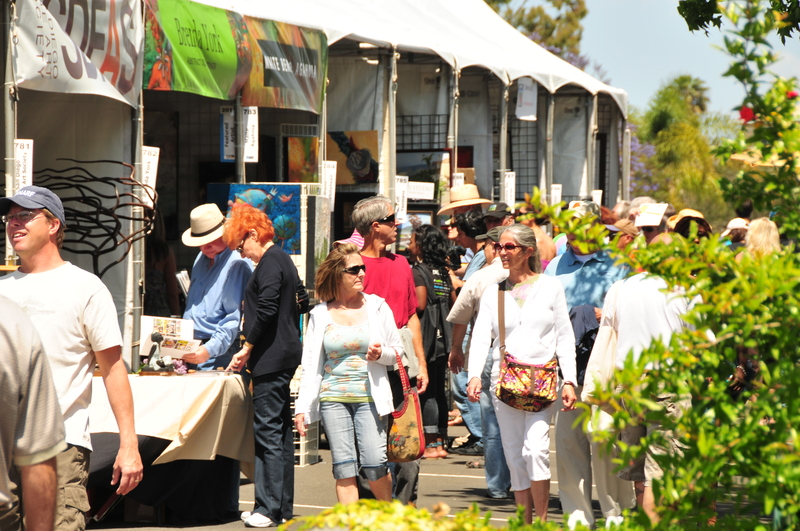 Along with colorful blooms and warm winds, Springtime in San Diego brings a signature event that’s as vibrant and lively as the budding flowers of the region. 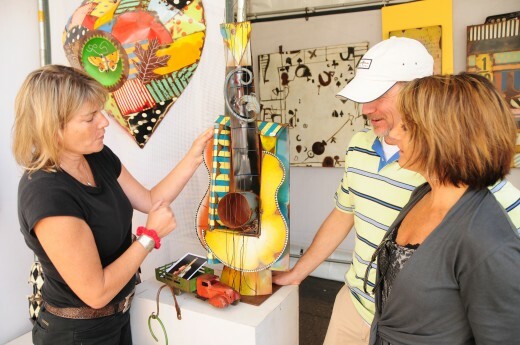 Each year, Mission Federal ArtWalk takes over San Diego’s Little Italy District for two days, to celebrate the talents of visual and performing artists from California and beyond. Now in its 28th Year, ArtWalk is the largest art event that takes place in San Diego. With over 350 renowned artists displaying their work for purchase, you just may find the next piece of art to covet in your collection. Plus, with musical and dance performances, art activities for the kids, and much more, there’s plenty of things to do, see, taste and experience. Need I say more? Read on for the activities and festivities for you and your family to enjoy during the two-day festival, all without an admission fee. 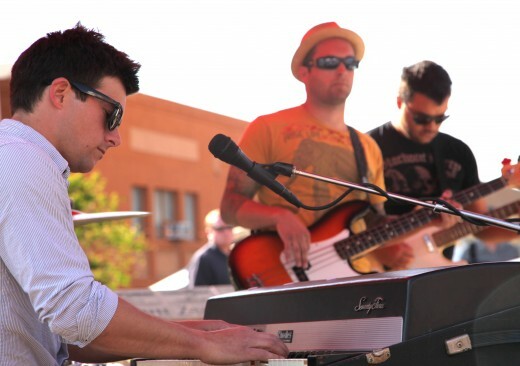 With five stages set up along India Street featuring local bands and musicians, lively tunes will fill the streets of Little Italy. Check the schedule to see who’s playing when and where. New this year, there will a stage devoted to celebrating the dance community in San Diego. “Dance on Edge” features a showcase by Peter Kalivas, Artistic Director of the PGK Dance Project, featuring San Diego’s talented dancers. 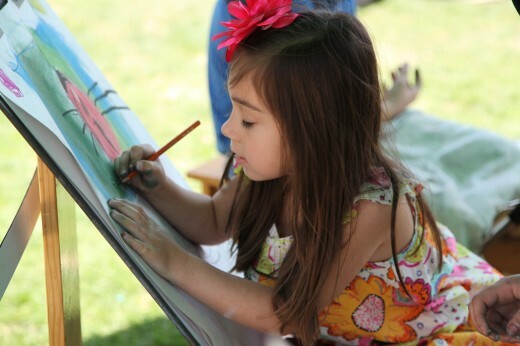 Collaborating with leading local arts organizations like The New Children’s Museum, Birch Aquarium and Coronado School of the Arts, ArtWalk presents KidsWalk, a free interactive arts area for kids. Enjoy 20 interactive arts activities with your family, including painting, performing arts, music and more. 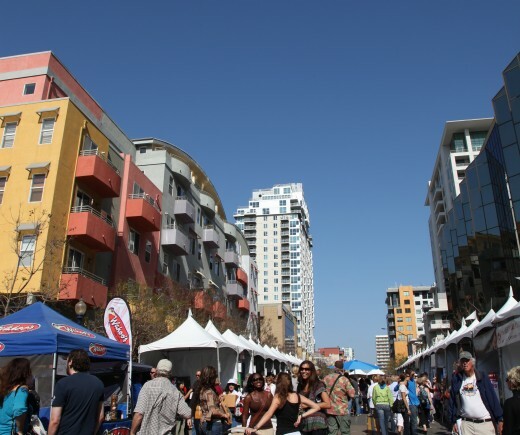 Situated in what some consider the culinary center of downtown San Diego, visitors have an opportunity to experience the delectable restaurants of Little Italy, as well as street food stands that will be set up at the Festival. With over 350 exhibiting artists, the festival provides a great opportunity to meet and engage with working artists, including nationally renowned artists like photographer Chris Honeysett, or ceramicist Hasuyo Miller. For a full list of this year’s featured artists, click here. ArtWalk provides a rare opportunity to examine a work of art up close, in a casual and approachable setting. The artists are there to tell you about their inspiration and process, providing great insight in to a piece that may have drawn you in at first glance. This is my favorite part of ArtWalk, to see a gem, then have the opportunity to engage with the artist on the spot. With prices ranging from $50 to $15,000, this is a great venue to purchase an original. Whether you’re a novice or experienced art collector, you may find the next perfect piece to add to your collection. Experiencing 17 city blocks worth of visual art, dance, music and cuisine with your family only gets better under clear blue skies, balmy temperatures and the legendary SoCal sunshine. Roll up your sleeves and tap into your inner artist! You’ll have a chance to work with noted artist Valentine Viannay to create an original silkscreen print of your own, or to contribute to a community collaboration piece of art. ArtWalk and ArtReach are committed to promoting the arts in San Diego schools. Representatives from both organizations, as well as from Mission Federal Credit Union, will engage with festival-goers about their commitment to fostering an interest, love and appreciation for art amongst younger generations. This entry was posted in Arts & Culture, Attractions, Family Vacations, Insider Tips, San Diego Events, Shopping and tagged downtown, Little Italy ArtWalk, Mission Federal ArtWalk, San Diego art and culture, San DIego Artist, san diego arts and culture, San Diego ArtWalk by Aki. Bookmark the permalink. I really like San Diego! And I love to see those dance performances and live music there. It is really true that San Diego is gifted with different talents, am I right? I believe reason #4 is a child creating beautiful art at the Art with Larisse booth! I have at least 5 reasons why people who live in Little Italy go out of town during Artwalk. Some highlights: #3. Lily-white suburbanites in floppy hats and fanny packs jamming up traffic. #1. Said suburbanites taking up all available parking and then complaining about having to walk 2 blocks to the festival. #4. Every single sticth of art is utter banal crap.